Near-infrared spectroscopy (NIRS) in reflectance technique is an easy to do analyti cal method which only requires grinding of the samples and scanning of the feedstuff in an NIRS apparatus. The measurement, which is non-destructive, requires no chemicals and results are ready within a few minutes. Since the early 1970s sample spectra of feed raw materials or compound feeds have been correlated with the respective concentrations of crude ingredients, analysed by wet chemistry, and multivariate calibrations were established from a sample set with ehemometrie correlations (Kramer, 1998 and monographs cited there). At that time only universities and research institutes had mainframe computers powerful enough to do this work. This kind of calibration, which should contain at least 50 or so samples to cover most of the variation of the sample type, can then be used for estimating the calibrated parameters in new samples. Rubenthaler and Bruinsma (1978) and Gill et al. (1979) were the first to develop calibrations of amino acid contents in wheat and barley, followed a few years later by the published papers on calibrations in cereal and peas (Williams et al., 1984,1985). But it was not until the 1990s before this attractive estimation technique found more widespread acceptance, including use in feed mills, with the advent of low-cost, powerful personal computers and the development of software allowing the transfer of calibrations to other, adapted NIR-speetrometers. Workman (1991), Michalski and Mroczyk (1992), Shenk (1994), Dyer and Feng (1996, 1997) and Pazdernik et al. (1997) also developed sufficiently accurate amino acid calibrations for soybean meal and seed, grains and rapeseed, generally with the intention of replacing expensive wet chemical amino acid analysis in their extensive raw material studies partially by NIRS estimations. In all of these cases the use of these amino acid calibrations was limited both geographically and seasonally. The amino acid manufacturer Rhone-Poulenc, now Aventis, was the first company to use existing raw material samples from digestibility studies to design calibrations for estimation of poultry digestible and total amino acid concentrations as a service to customers worldwide. Papers by Van Kempen and Jackson (1996), Van Kempen and Simmins (1997), Van Kempen and Bodin (1998) and Bodin et al. 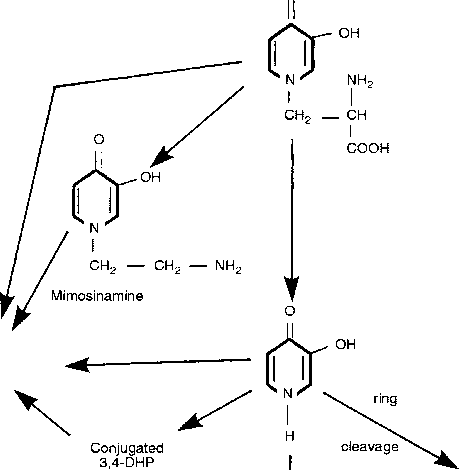 (1999) describe the results obtained for essential amino acids in all major feed raw materials. The objective of the work was to promote the use of digestible amino acid contents in ration formulation, which allows quality fluctuations of the raw material to be estimated by NIRS without having to rely solely on tabular digestibility data. Because of the very high costs of digestibility trials, researchers were forced by a lack of enough characterized raw material batches to establish a combined animal meal calibration from a total of 66 samples of fishmeal, poultry meal, and meat and bone meal and calibrations for soy meal, wheat and maize based on only 20-30 samples per raw material. The resulting insufficient coverage of the raw material variation together with unknown analytical errors, never quantified in collaborative trials, of the digestibility coefficients determined in animal experiments, cast some doubt on the reliability of the predictions. The service laboratory of Degussa, which specializes in amino acid analysis, concentrated on the development of calibrations of total amino acid contents in individual raw materials. Fontaine et al. (2001, 2002) describe the development of 14 raw material calibrations, most containing 100-330 samples, which are regularly updated. In most cases fractions of explained variance for cross validation r2 far in excess of 0.8 were achieved for the correlation between NIRS and wet chemical data and the standard errors of cross validation (SECV) are typically only 2-5% relative to the mean of essential amino acid contents for protein-rich feedstuffs calibrations. Additionally validations with about 100 independent samples for each of the soy, meat and bone meal and wheat calibrations corroborate the accuracy of NIRS amino acid estimations. The calibrations can be transferred to equipment in feed mills and are used in Degussa laboratories to analyse more than 5000 raw material samples per year. The central development of NIRS calibrations by experienced specialists is an efficient way of encouraging the widespread use of NIRS in feed analysis by enabling for the first time the time-critical quality estimation of each individual raw material batch.